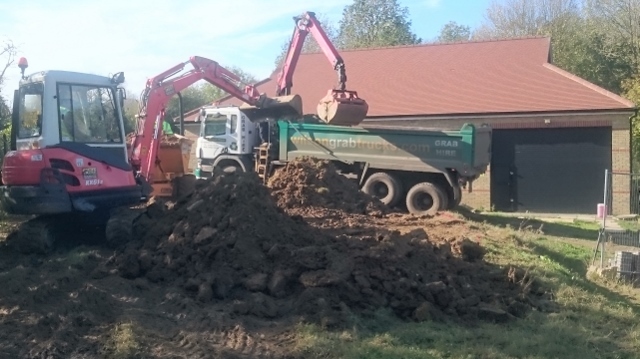 It has been two and a half years since our last digger day at Colt Hill Clubhouse and finally we can afford to have another one. 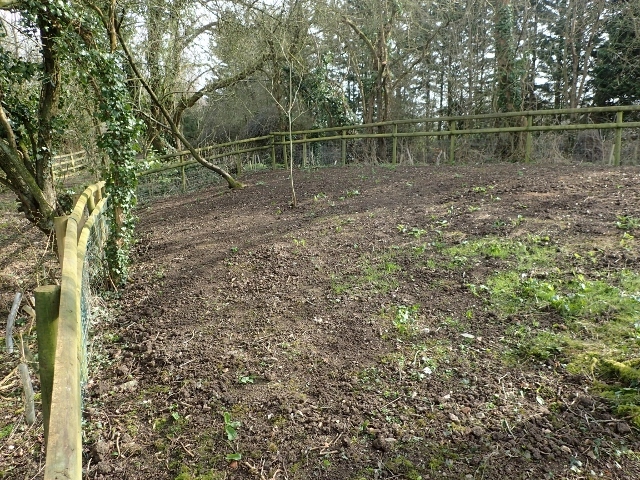 We have prepared the soil in the far east end of the wildflower meadow and sowed it. 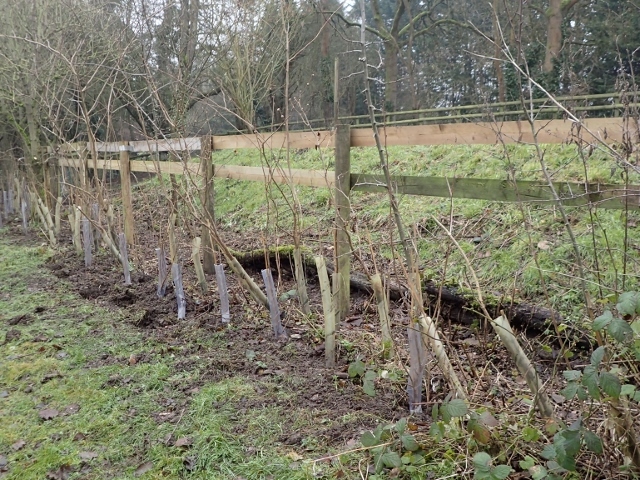 We have also planted out the last of this year's saplings to reinforce the hedge. We have planted over 100 saplings today to enhance the hedge around the compound and wildflower meadow. We have also spread topsoil over ther far east end of the meadow are in anticipation of sow that final section with wildflower meadow mix. Today we were blessed with dry, sunny but cold weather for the first of three work parties in winter/spring 2017. 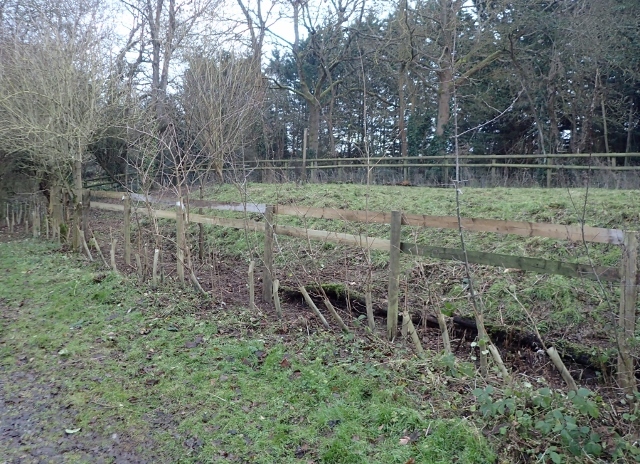 Our focus was on the hedges and the timber fence around the wildflower meadow. 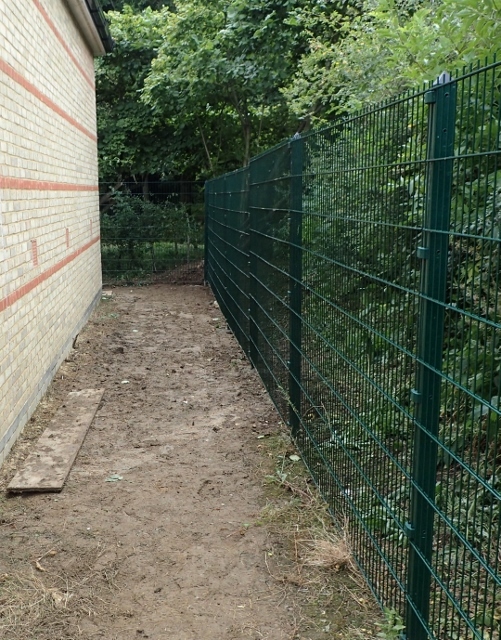 The green steel mesh fence was started in 2012 (click here for details). Today we completed that fence. This evening we laid a dozen second hand concrete paving slabs to improve the access to the canoe store.